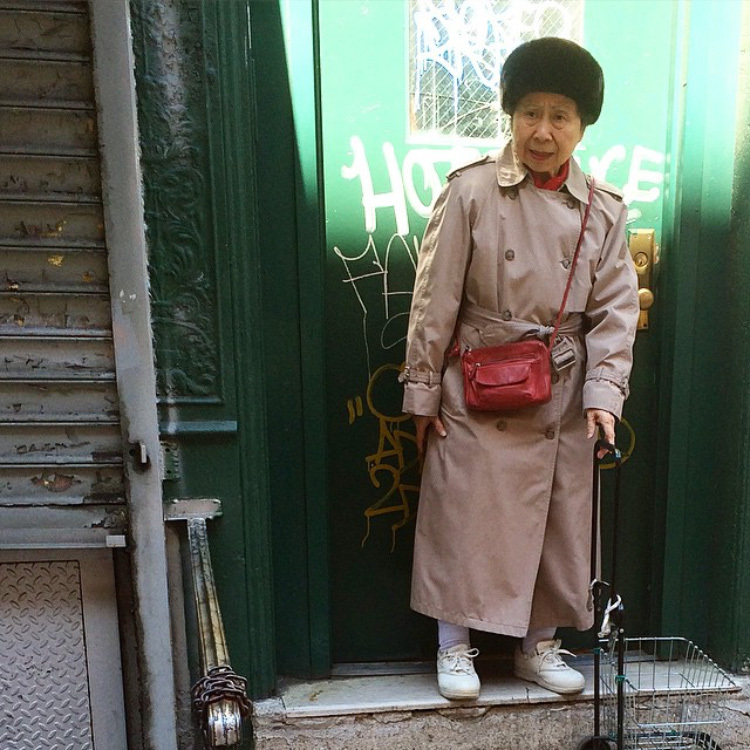 Courtesy of chinatown_streetstyle, an Instagram account documenting the fashions of New York’s Chinatown. One of his most persuasive and compelling investigations was around the power of fiction to influence fact, a dynamic articulated in his theory of ‘acting as if.’ Influenced by German philosopher Hans Vaihinger’s book The Philosophy of As If (1911), Adler explored the power of exercising mental fictions, a precursor to the later emergence of Cognitive Behavioural Therapy.2 A constructivist psychological approach, the Adlerian technique of ‘acting as if’ encourages the patient to act out desirable behaviour – for example, empathetic responses, or assertive decision-making – on a daily basis. By acting and thus feeling differently, and through receiving recalibrated responses from others to this externalised set of behaviours, the patient eventually actualises as a different person – the person imagined through the ‘final fictional goal.’ In Adler’s construct, acting as if is a necessary mindset to inhabit for social cohesion and the greater good of societies built through healthy, empathetic, goal-oriented individuals. In the immediate postwar years of frugality, rationing and reification of war heroes, trench coats found their way into civilian fashions, undergoing further metamorphoses as they – and, from the 1920s, their boldly recognisable checked lining and detailing – became syncretic canvases for country life, English tradition, outdoor pursuits and arriviste aspirations. By the early twenty-first century, when British soap actress Danniella Westbrook paired her infamous cocaine habit with head-to-toe Burberry check (going so far as to cover her infant daughter and pram in it, too, to the delight of sneering tabloid editors), the original significance of the garment and its spin-off items had morphed from genuine indicator of the elevated classes and the quality of its English manufacture to their complete erasure. Of course, this was not due to a significant change in the garment’s materiality, but rather down to repeated and varied performances – acting as if – that had decentred its codes and exposed its – and, more broadly, fashion’s – contingent authenticity. This spiral into the realm of the ersatz was furthered by the proliferation of counterfeit copies that enshrined Burberry check – in particular, affordable accessories like the cap – as the sartorial preference of the ASBO4 generation of chavs, neds and scallies in the late 1990s and early 2000s. Westbrook could afford (or had been dressed in) the ‘real deal,’ and thus her instrumentalisation of the Burberry label and its aesthetic was an attempt to counterfeit class and social standing – an electrifying transgression in hierarchy-obsessed British culture. The streetcorner co-option, on the other hand, set the stage for a much more instructive – and arguably more interesting – echo chamber around authenticity moving from low-to-high that continues to play out today. In the early 2000s, at the tender age of thirty, Christopher Bailey was installed as design director at Burberry just as the counterfeit mania had reached its peak. Bailey eventually (and wildly successfully) recalibrated public perception of the brand by reining in its use of the check, introducing impressive runway shows and the limited edition Prorsum line and mining the brand’s history to create heritage items. In October 2017, when he announced he would exit the company he had helmed for over fifteen years, Bailey had made shareholders and consumers content by restoring a comforting vision of the trench coat as a luxury item. Yet, in the words of anthropologists Jean and John Comaroff, whose work interrogates notions of hegemony, such a pathway from authenticity to mass proliferation – and back, as Burberry has tracked – does not shore up infallible institutions; such journeys challenge ‘the conceit at the core of the culture of Western capitalism: that its signifiers can be fixed, that its editions can be limited, that it can franchise the platonic essence of its mass-produced modernity.’5 It is this play on signification, its power as performance and the ensuing ability to provoke such strong and simultaneous reactions of desire and discomfort that makes fashion so centrally important to cultural discourse and such a radical form of design. Bailey understood this as much. And so, as a parting shot – perhaps secure in his achievements, and with a knowing nod to the period of panic over counterfeits in which he was hired – he collaborated with Muscovite provocateur Gosha Rubchinskiy on an eight-piece collection that dripped Burberry check over bucket hats and trench coats, resurrecting the spectre of the football hooligan in the form of the currently uber-fetishised post-Soviet gopnik. As Bailey relinquished his post directing the Burberry troops, his final word on the brand’s heritage was recognition of the peculiar, contingent tension between confidently inhabiting status and acting as if. As a consequence, art, architecture and design histories have developed a robust critical scholarship (from Jean Baudrillard’s theories of the hyperreal to Robert Venturi and Denise Scott Brown’s Learning from Las Vegas) around questions of authenticity, the interplay between auratic original (Walter Benjamin) and mass-produced copy, and the notion of truth in disciplines that wrestle with their foundations in mimesis. Whether purloined in open homage, by stealth, by force or by other means, acts of translation and borrowing help us interrogate and reframe the myth of the lone genius and historic moments of discovery and examine notions of intellectual, cultural or political property in creative practises. 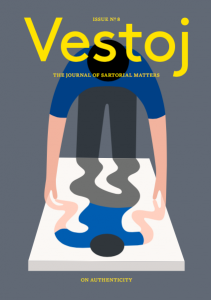 Authenticity is not an a priori but a location that is inhabited – and shored up – by performance and public presentation. It is in the process of making a copy that the mechanisms, signs and strategies of authenticity imbued in the auratic original are revealed, offering insight into how such real-ness is performed. In fashion, as in pretty much every other niche of design and the visual arts, knock-off goods are nothing new and, whether flagrant or subtle, they have often helped many of us access the identities we desire. Gabrielle ‘Coco’ Chanel famously opined that ‘being copied is the ransom of success,’ and today the business of expiation on the fashion front runs a cool $600 billion profit worldwide.7 One of the many epicentres of counterfeit fashion (at least in old-school analog form) is the legendary Barras Market in Glasgow’s East End. An institution for over eight decades since its interwar founding, the site – shortened in Glaswegian parlance from its proper honorific, the Barrowland – sits next to the famed music hall of the same name; both monikers derive from the wheelbarrows from which the earliest traders sold their wares in the street. On a recent dreich, grey December Saturday morning, where rain threatened but never quite made good on its promise to fall, the Barras was in full swing. Hawkers pitched their goods from stances in front of their stalls, all the better to entice the lacklustre crowds who were filing towards the newer, hipper craft and design market set up under cover, next to a bar-restaurant trading in oysters, cocktails and rapid gentrification. In May 2016, an undercover police operation saw over £30 million worth of counterfeit goods seized at the Barras, with the Scottish police heralding the action in the ensuing press coverage as a way to ensure the ‘regeneration’ of the area, now ‘free of criminality’8 – but a year later, tables, garages and dilapidated store fronts were still piled high with bric-a-brac, electronics, ceramics and boxes of goods straight off the back of a lorry. Amongst the alleyways and courtyards, two men watched over one trestle table in particular and conducted a brisk trade. Their pitch was constantly mobbed with a steady crowd picking up plastic wrapped T-shirts and sweaters; the stallholders whispered prices to each customer in hushed tones so as not to undercut their next sale. A pair of Versace jeans with the stitching already unravelling was dispatched to a woman who had eyed them, rubbed their textile betwixt her fingers, and then cannily set them down and stepped away, only to be encouraged to open her purse for a knockdown price of twenty pounds. Two teenagers doing their Christmas shopping picked up Gucci shirts and haggled a two-for-one; a black Balmain sweater was stuffed into a blue shopping bag for an undisclosed price. Nike socks went, two packs for five pounds, at a nearby stall; next to them, white Apple earpods, unboxed, sold for a fiver a pair. I asked to take a picture and one of the stall owners stepped to the side; I could snap what I liked, he said, just not his face, as he was here illegally – his status on par with that of his merchandise. No one who walked away having made a purchase was under any illusion that they had scored a garment that genuinely came from its purported origin; and yet, each would be worn as such, the brand name logos an immediately recognisable currency. Yet, it seems as if, in the contemporary moment, acting as if in search of the authentic, happy self has in many cases metamorphosed not through the physical counterfeit but in the virtual realm that helps us transcend our ‘deficits’ (defined differently by us, no doubt, than by Adler a century after his theory). We live in the age of the Instagramable goal-a-day meme, the neoliberal incantation of fake-it-til-you-make-it, and the (now contentious) Amy Cuddy TED Talk-endorsed one-minute power-pose (in which Cuddy proposed that one can become assertive by standing legs astride and chest puffed out).13 While it is not a new impulse (see: 1980s Wall Street Yuppiedom), this type of transformation has been electrified and accelerated by social media, wherein whole personalities can be constructed, filtered, edited and disseminated. Even while the current zeitgeist relentlessly schills artisanal, organic, authentic, handmade, crafted, made-with-love, ethical products to clothe ourselves and our lives, and even as we rejoice, repost and embrace these values, they are in the majority in contradistinction to our actual lived existence and experience where we consume led by desire and not thought for human or environmental consequence. There is a disconnect between what we post and what we are, between what we say and what we do. Adler’s positivist theories of reinvention were genuine in their quest for socialist cohesion; millennial social justice mediated from behind the isolating glow of a personal screen can never match up. We are counterfeit selves, but not always because of what we wear. Playing with identity through fashion – either through a typology like the tracksuit, or through the counterfeit more generally – is at the root of the transactions that take place at the Barras trestle tables and other sites like them, as well as in runway collections. While carefully counted notes are handed over in the heart of the east end of Glasgow, it is such working-class, post-industrial sites that have become inspiration to the certain contemporary designers – not just Bailey and Rubchinskiy, but also Demna Gvasalia’s Vetements. They have appropriated the readymade uniforms the Barras clientele are looking to shed – the postal uniform, the maintenance workwear worn in earnest – and the aesthetics they have cultivated unironically. The uniform of the person delivering the mail or restocking the shelves at the local supermarket has been elevated to the runway. Adler’s theory of acting as if has come undone in this co-option of the blue-collar uniform as fashion. As film theorist Nita Rollins reminds us, ‘Fashion’s ravenous cycles of emulation of those persons with some kind of prowess, be it economic or, in the case of punks, ideological, maraud through history’s closets to counter the mutability of the body, to climb the social ranks.’14 In the case of fashion’s relationship with authenticity – of self, of social standing or of inherent signification – what we wear is a powerful and radical conundrum in that we do not climb up or down, but within a complicated and radically compelling web of our own weaving. Michelle Millar Fisher is a doctoral candidate in Art History at the CUNY Graduate Center, and a Curatorial Assistant in the Architecture + Design department at the Museum of Modern Art, New York, where she most recently co-curated Items: Is Fashion Modern?